Having a tree removed can be expensive. When you’re a homeowner with trees on your property you should budget in tree care just like any other homeowner expense so you won’t be caught short. 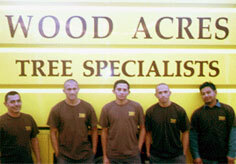 There are many things to consider when Wood Acres Tree Specialists gives an estimate. Minimum cost. Tree companies have a lot of equipment – even for small jobs. For very large jobs specialized equipment must be brought in to the job site. The bigger the tree, the more expensive the removal. Removing a large tree is more complicated, large oaks can weigh 30-50 tons, and clean-up can be extensive. 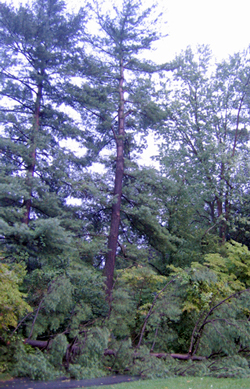 If your tree removal requires a crane that adds to the cost. Tree stability. A tree that is failing can post a hazard to the property and crew and this must be considered in the estimate. The longer you wait when you notice a problem with a tree, the more it can cost to remove. Tree location. If the tree is on a hill, near power lines, near structures, tangled within other trees limbs, or right next to the street where traffic passes this could take longer than an uncomplicated tree removal. Reputation of Arborist. Wood Acres is licensed, insured, equipped with the latest heavy machinery, and is extremely experienced. This adds up to extra insurance for you that the job will be done correctly and safely with minimal percussions. Stump removal. This is always an extra service as it requires different equipment and it also gives the homeowner an opportunity to save some money to not have it done if it’s not in a prominent area. Clean up. The degree that Wood Acres cleans up the debris after the job is also included in the estimate. If you’re planning on moving into a house, have Wood Acres check the trees before you move in and this could save you money. If it’s your problem tree, don’t wait. Disaster is more expensive and time-consuming than tree removal. This entry was posted in Damage, Tree & Shrub Care, Tree Removal, Trees & Shrubs and tagged tree removal Ashton md, tree removal Aspen Hill md, tree removal Barnesville md, tree removal Beallsville md, tree removal Bethesda md, tree removal Boyds md, tree removal Brinklow md, tree removal Brookville md, tree removal Burtonsville md, tree removal Cabin John md, tree removal Chevy Chase md, tree removal Clarksburg md, tree removal Colesville md, tree removal Damascus md, tree removal Darnestown md, tree removal Derwood md, tree removal Dickerson md, tree removal Gaithersburg md, tree removal Garrett Park md, tree removal Germantown md, tree removal Glen Echo md, tree removal Hyattstown md, tree removal Kensington md, tree removal Laytonsville md, tree removal Montgomery Village md, tree removal Olney md, tree removal Poolesville md, tree removal Potomac md, tree removal Rockville md, tree removal Rossmoor md, tree removal Sandy Spring md, tree removal Silver Spring md, tree removal Spencerville md, tree removal Takoma Park md, tree removal Washington Grove, tree stump removal Ashton md, tree stump removal Aspen Hill md, tree stump removal Barnesville md, tree stump removal Beallsville md, tree stump removal Bethesda md, tree stump removal Boyds md, tree stump removal Brinklow md, tree stump removal Brookville md, tree stump removal Burtonsville md, tree stump removal Cabin John md, tree stump removal Chevy Chase md, tree stump removal Clarksburg md, tree stump removal Colesville md, tree stump removal Damascus md, tree stump removal Darnestown md, tree stump removal Derwood md, tree stump removal Dickerson md, tree stump removal Gaithersburg md, tree stump removal Garrett Park md, tree stump removal Germantown md, tree stump removal Glen Echo md, tree stump removal Hyattstown md, tree stump removal Kensington md, tree stump removal Laytonsville md, tree stump removal Montgomery Village md, tree stump removal Olney md, tree stump removal Poolesville md, tree stump removal Potomac md, tree stump removal Rockville md, tree stump removal Rossmoor md, tree stump removal Sandy Spring md, tree stump removal Silver Spring md, tree stump removal Spencerville md, tree stump removal Takoma Park md, tree stump removal Washington Grove md. Bookmark the permalink.